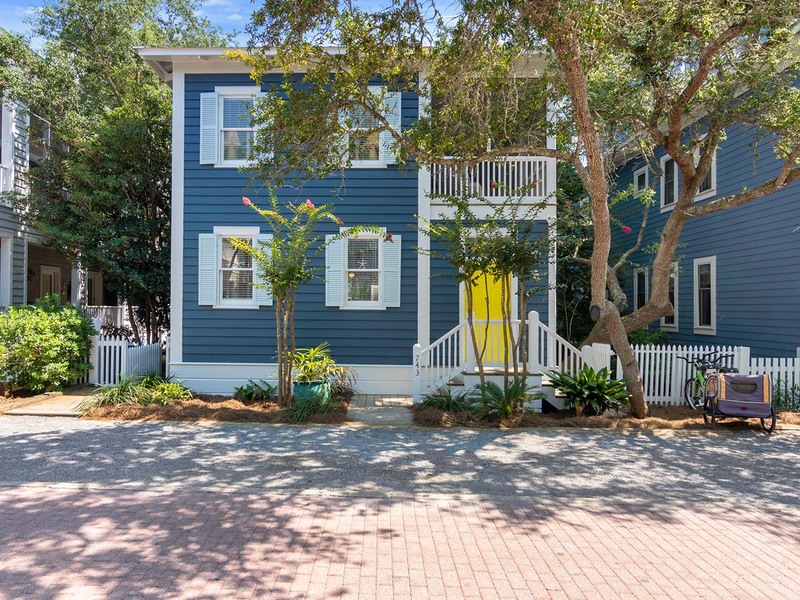 The OASIS greets you with pure Seaside charm! 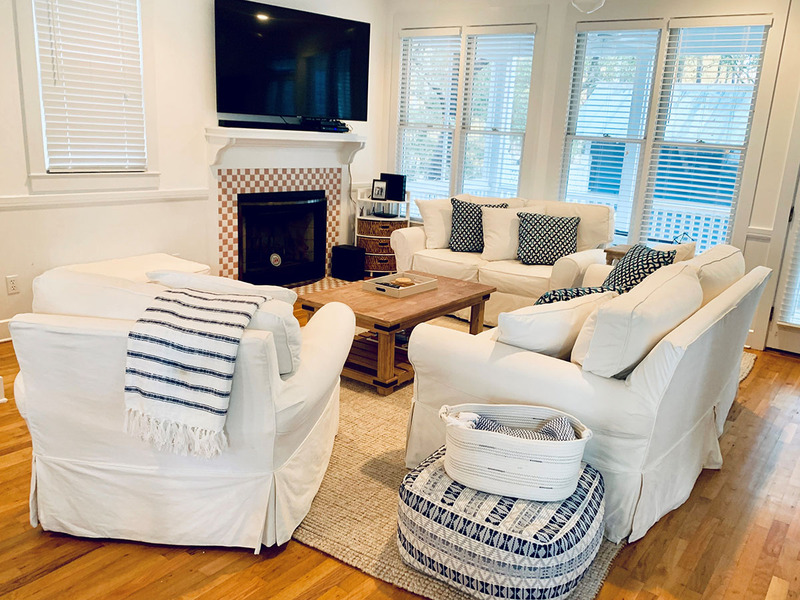 Updated all new furnishings and accessories to give it a modern, coastal feel and make your stay even more unforgettable. 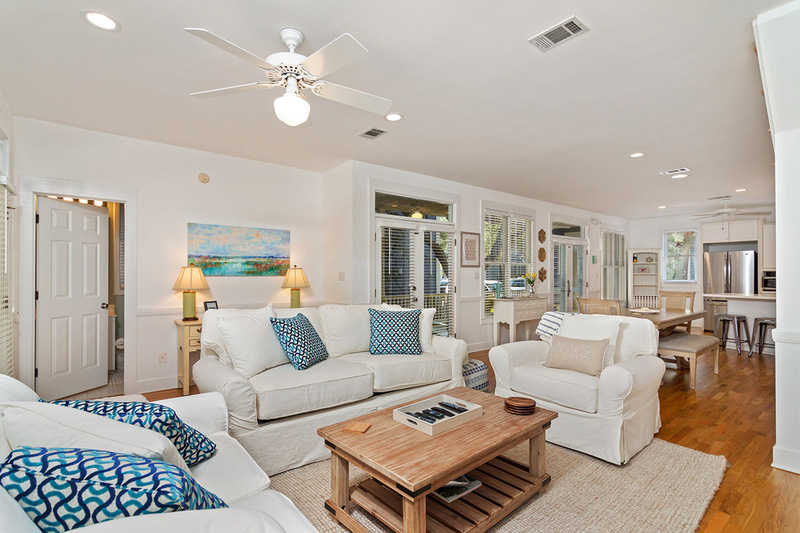 The OASIS is positioned in a fabulous location on Forest Street close to the beach and Westside pool. 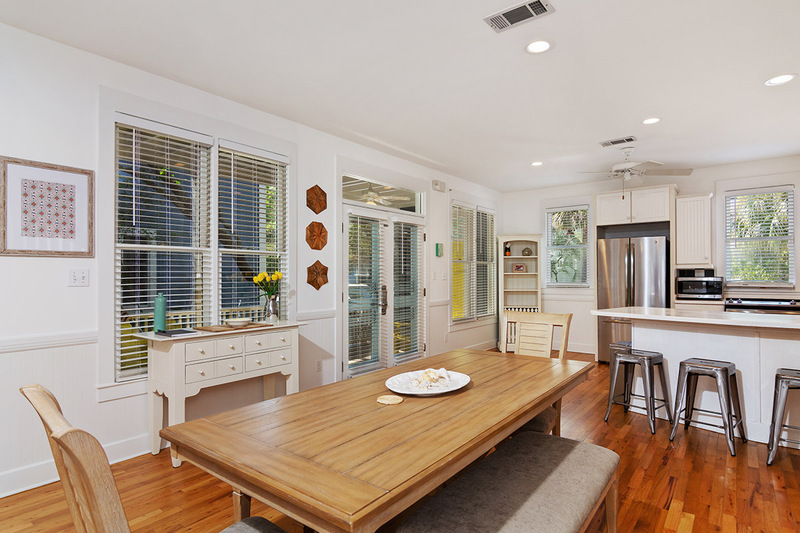 The first floor opens up to a bright and airy kitchen with new stainless appliances, large dining room table with bench seating, comfortable living room equipped with sofa bed and entertainment system and full bath. 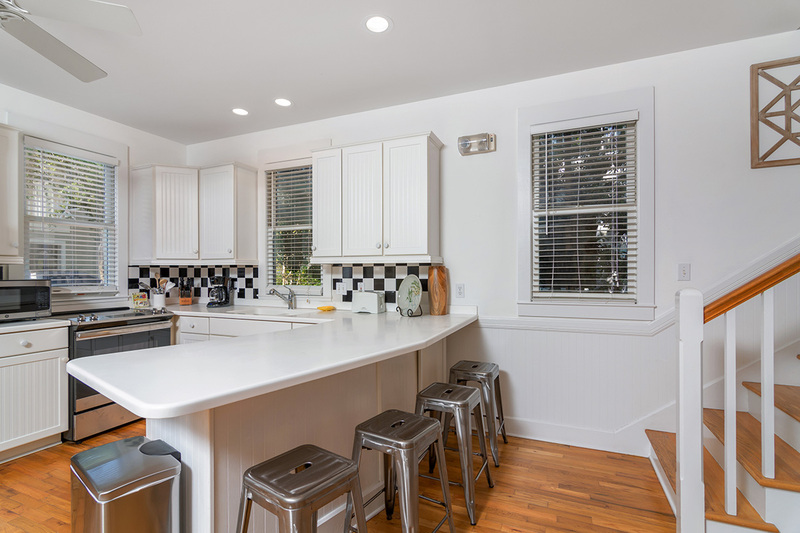 The open floor plan of the dining and kitchen area, with seating for 4 at the countertop, easily accommodates your entire family. 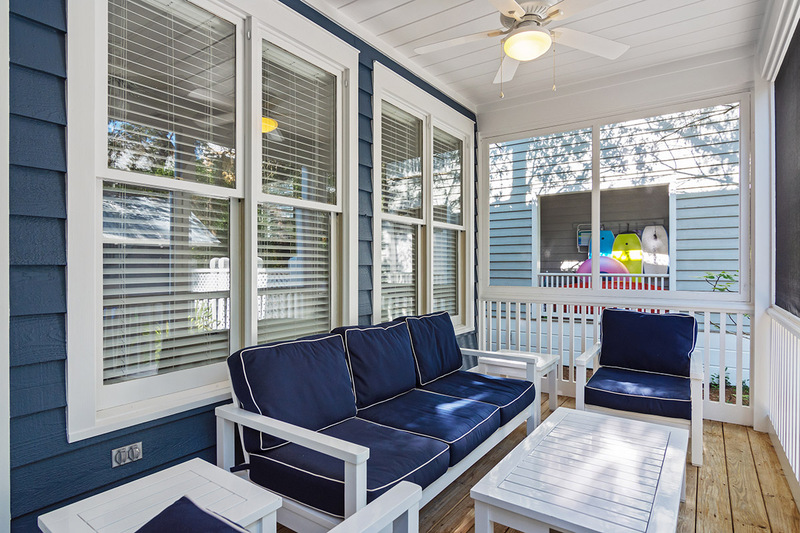 Two sets of French doors open onto the front porch and another set of French doors opens onto the screened back porch, perfect for enjoying your morning coffee. 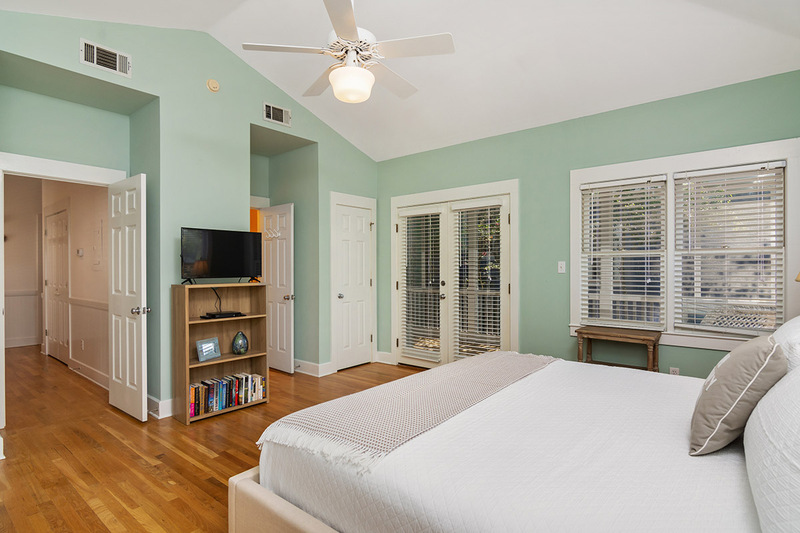 Upstairs, the spacious master bedroom includes a king bed, private bath and vaulted ceiling. 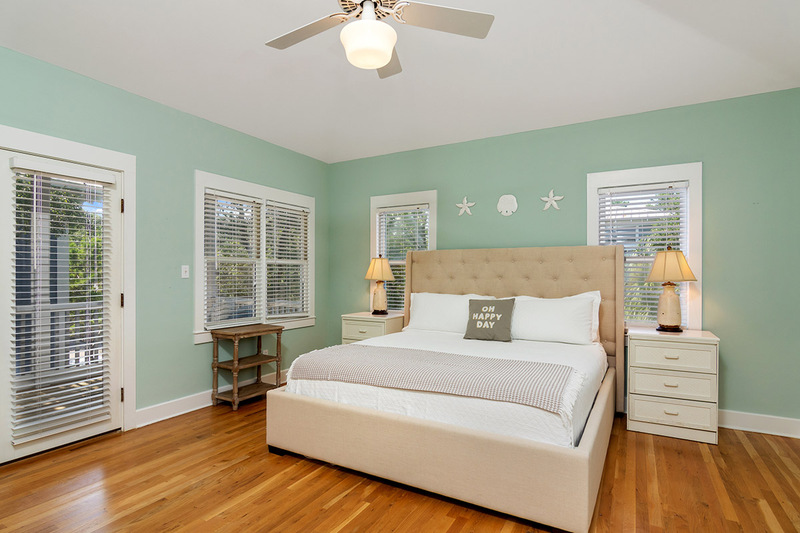 The second bedroom is furnished with a queen bed and shares a full bath with the third bedroom. 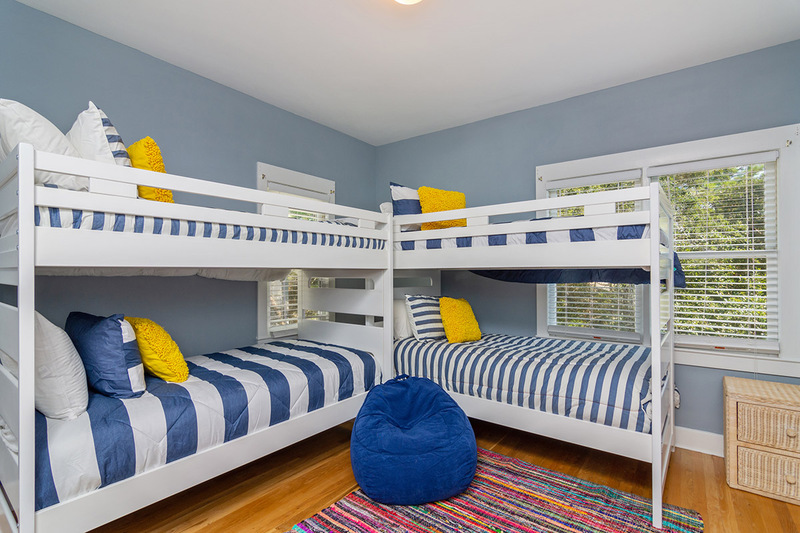 This third bedroom is made for fun with two sets of bunk beds (sleeps 4) and bean bag. 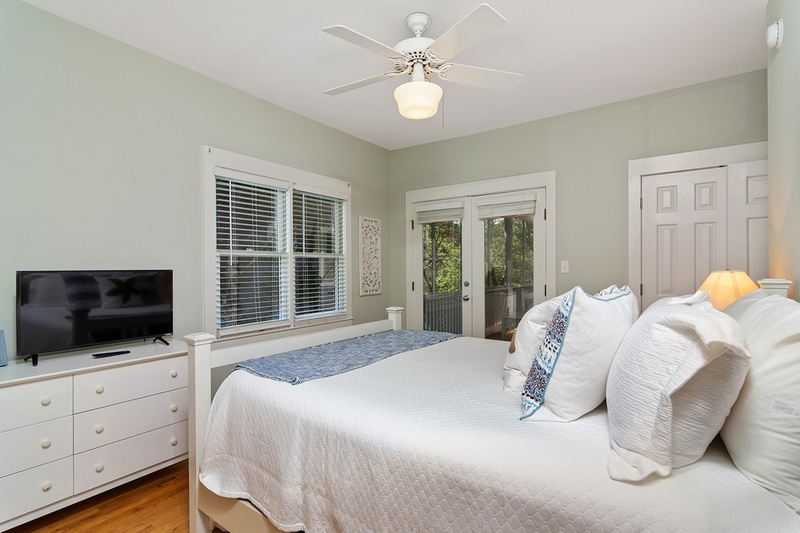 All three of the bedrooms have been outfitted with new smart TVs for your enjoyment. 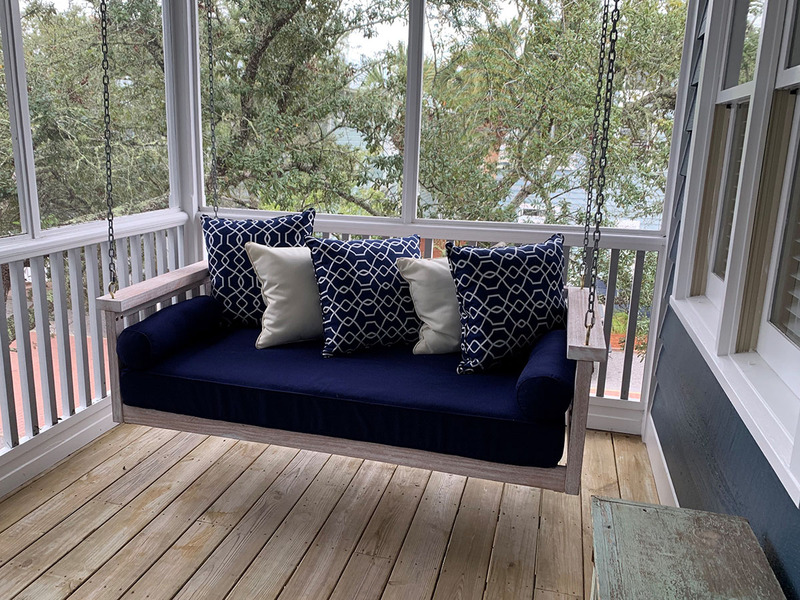 A wonderful screened porch with both a perfectly placed swing and cozy sectional are perfect for relaxing, entertaining or both! 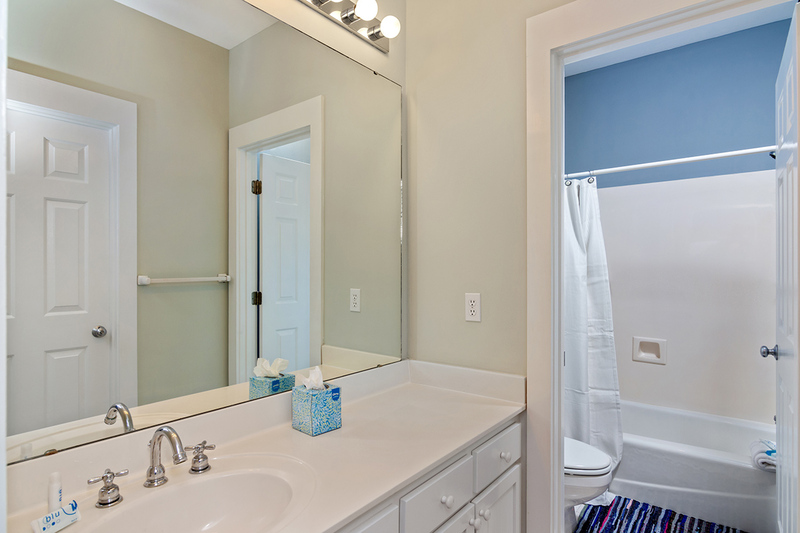 These new additions can be accessed from both the master and guest bedrooms. 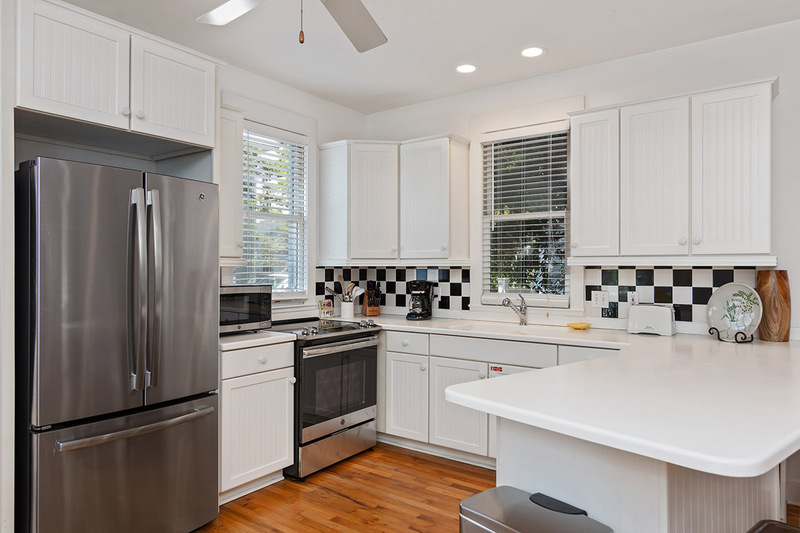 The laundry area with full size washer/dryer is also conveniently located on the second level. 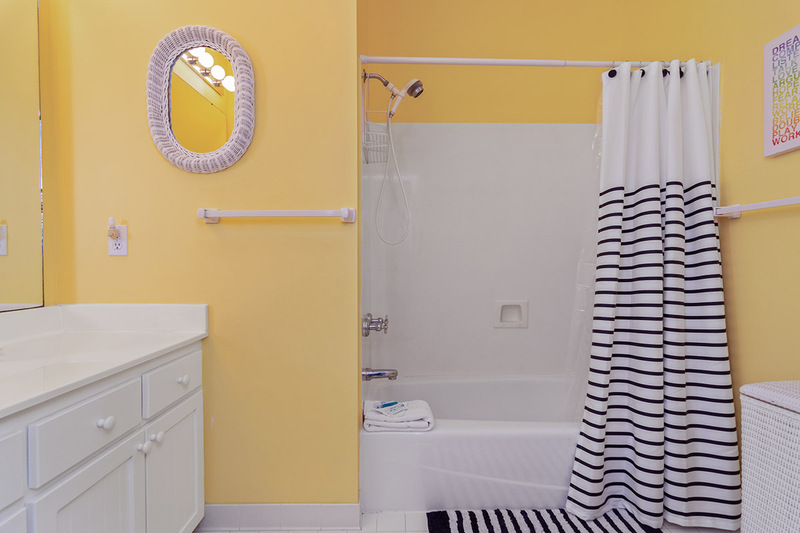 Extras include an outdoor shower to use after a great day at the beach. 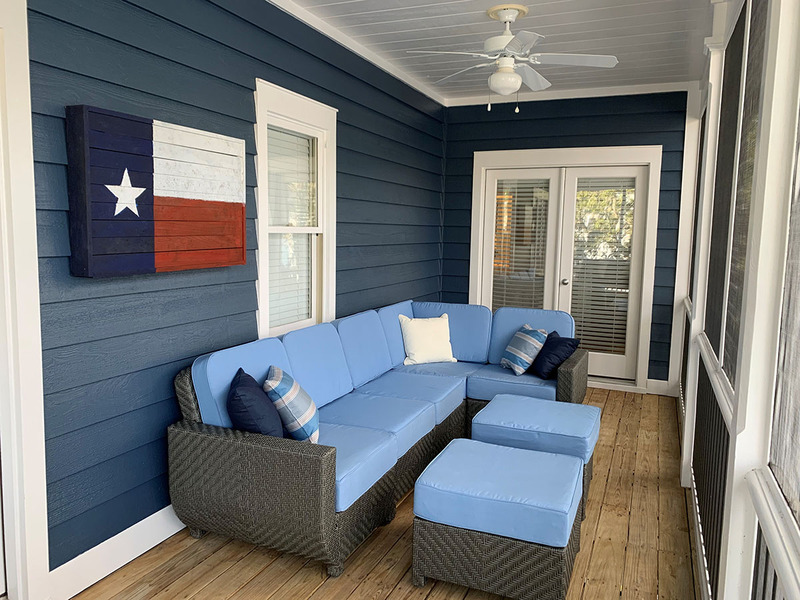 This cottage will be your “Oasis” for the week as you enjoy your time having fun in the sun and making memories in Seaside.